As I walked past barracks where people were housed like animals, buildings which were destroyed to keep in dark secrets, gloomy pictures of people pulled apart from their loved ones, I can only imagine the anguish and pain. Our tour guide painted the picture of the time with gory details as he led us to pits where bones were once thrown, crematoriums where human bodies were turned to ash, rooms where people were stripped of their clothing, train tracks that brought them to their doom. I was heartbroken by the dimly lit buildings replaying the Holocaust’s darkness by showing piles of combs, mounds of hair and hills of shoes to help us imagine the scale of the carnage. I felt as though their sorrows were placed on show for cheap emotion, as though I was exploiting them like the German Nazis and all collaborators did. Little has been done to honor their lives in a way that those Jewish, Roma, Sinti Polish, Hungarian, Austrian, Czech, Slovak victims would have appreciated. 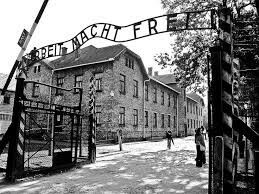 Auschwitz-Birkenau holds their pain, their humiliation, their unfulfilled dreams. This could be the place where you lose your confidence in the good of humanity. Even after the Holocaust, several countries took no responsibility for willing government participation and local collaboration in the atrocities performed against its native Jewish and Romani populations, as well as other minority groups. One such country is Hungary, where the Orban regime created a false narrative of German occupation, though at the height of deportations and killings there were only about a hundred SS (Nazi Soldiers) in the country. 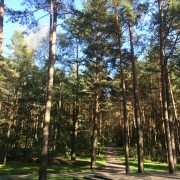 Also, in the Czech Republic some political leaders deny the Lety Concentration Camp was a concentration camp, claiming it was a camp for people who were too lazy for work. This was the site where whole Romani communities were interned before being sent to concentration camps and where many Roma people died due to harsh living conditions. The Soviet authorities were also participating in sharing false narratives. 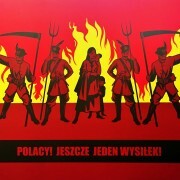 They blamed the murders of the Polish elite at Katyn on the German Nazis claiming that the murders took place during German occupation. I found a place of clarity at a destroyed building. The guide pointed out the parts, the gas chamber, the storage space for lifeless bodies… He continued to paint pictures that would never be vivid enough, when I noticed moss growing on the crumbled building. I turned to notice the green grass all around which was filled with life. From the earth filled with dead bodies and ashes, sprung life. 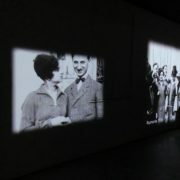 In that moment, I understood the need to preserve the agony of Holocaust victims. By preserving their pain, we may accept past mistakes, learn from them and use them to create a better future. Their private pictures and pages filled with their names didn’t quite celebrate their lives in a way that I believed they would have appreciated, but this was not just for the dead. 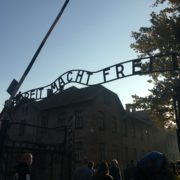 Auschwitz-Birkenau holds our pain, our shame, our unfulfilled dreams. 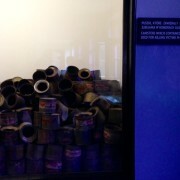 Figure 2: Collapsed Gas Chamber at Auschwitz-Birkenau. Fortunately, the false narratives are being currently being challenged. 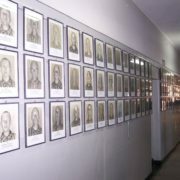 At the German occupation memorial, there is a living memorial, where individuals post true stories and discuss the Hungarian government’s involvement in the mass internment, deportation and murder of Jews and other minorities. Research has found that the Russian government was in fact in responsible for the killing of officials at Katyn. Research has also debunked the notion of the Lety camp as a camp for the work-shy. Not only are many different groups having truthful conversations about the events, they are addressing the continued repression and exclusion of minority groups. 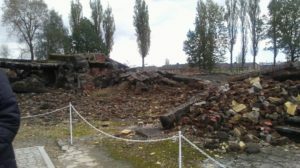 In Prague, there are talks on relocating the farm at the Lety Concentration camp to give the Romani communities a proper burial site. In Bratislava, I participated in dialogue with NGOs, who are attempting to change the social perception of marginalized groups. Also, in Prague, I attended a conversation with Holocaust survivors and children of survivors from Roma and Sinti communities. The caption of the memorial statue at Auschwitz-Birkenau resonated with me the most because it says, “forever let this place be a cry of despair and a warning and a warning to humanity, where the Nazis murdered about one and a half million men, women and children, mainly Jews, from various countries of Europe.” This was the first caption I read that was only filled with truth and a gave a full narrative. 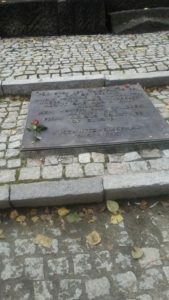 Figure 3: Caption of the Holocaust Memorial at Auschwitz-Birkenau. This could also be the place where you find resilience and a way to hold fast to your faith in humanity. There are possibly hundreds of words to describe Holocaust events, but none can possibly tell the entire story. None can turn back the hands of time or nullify these events. They do not need to. It is positive that we are having these discussions and exposing the lies within some official Holocaust accounts. Hopefully, by exposing ourselves to the torment within the truth, we may avoid and put an end to genocides like this one. Like the fresh green grass at Auschwitz, we may accept the events of that day and still develop into something better. 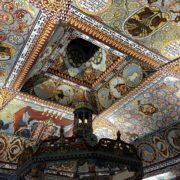 At the Galicia Jewish Museum, I heard stories of Jewish communities and customs. At Birkenau, I finally understood their resilience, their abilities to hold onto their cultures despite the evil that attempted to strip them of that. Though the massacring of about 6 million lives is unforgivable, we too can grow with vibrancy. We too can reach beyond the murk and find our recovery. Wawel Castle: An Enduring Symbol of Polish Identity Did Poland and Hungary Lose Their EU Pride?